This 16-page workbook is ideal for individual use or use in a six-week discussion group. Suited toward all men regardless of where they are on their spiritual journey, it is designed to be particularly attractive to men who may have never been involved in a Bible Study before. Topics include: The Rat Race, An Unexamined Life, The Goal of a Father, Living By Priorities, and more. Notes for leaders: This resource is perfect for Challenge 1: Manhood of the Journey to Biblical Manhood. 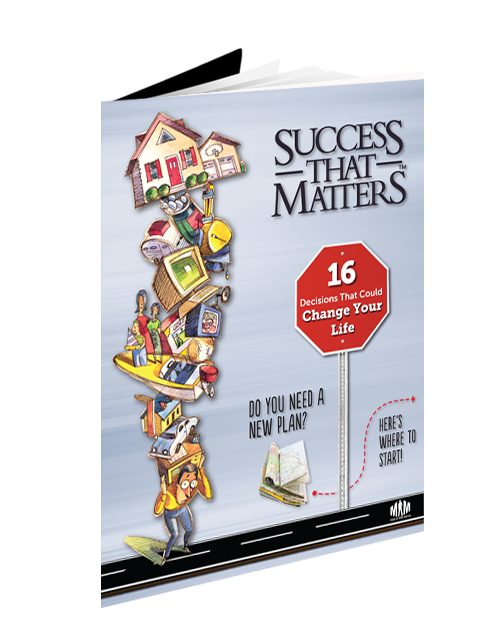 Also, if you’re interested in using an event to kick off small groups with this workbook, check out our Success That Matters event.